I found this faucet in one of those trendy New York stores that sells items salvaged from old buildings. The height looks like it would be a perfect fit with a modern vessel sink. The style manages to be both funky and classic at the same time. Although it looks like it came from a well appointed home, I'd put this in a simple setting. When you have a piece this singular, let it fly solo. 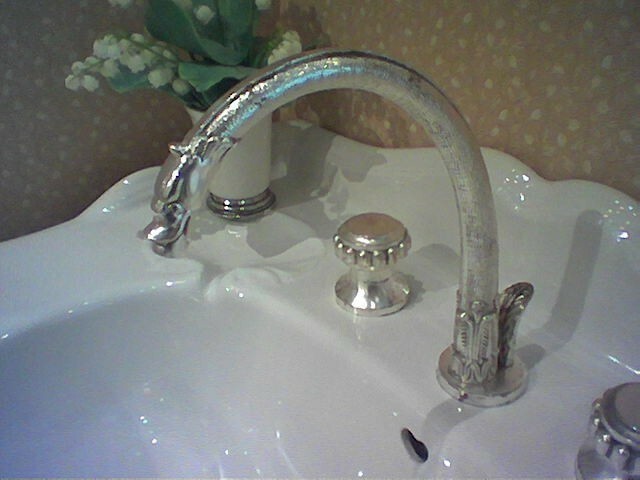 The faucet and handles are listed at $800. Love the faucet may I ask if the store had any more and what store it was?